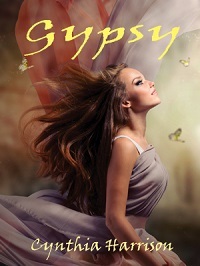 My favorite book blogger, Bodicia, who is much more than a book blogger, she is also an awesome writer of humor and serious thought pieces, has surprised me this morning with a review of Gypsy! This could not come at a better time as I am adding reviews to the book page. Not too many, just a few for each book. It’s been emotional for me reading the kind things strangers have to say about my books. You never know when you write these things, if they’re just for you or if someone else might enjoy. May have mentioned how crap I am at marketing my books. I like to write, so that’s first. And then there’s the day job. Al is a job all by himself. (I told him that yesterday and he was highly insulted, but it is true.) So marketing, that’s like job #4. I do love Twitter, and I link to my blog posts, because I like blogging, but setting up little blurbs and things for the books, not so much. Gypsy and Sweet Melissa are my paranormal indies, and I really stepped out of my box to write the paranormal elements, but it was fun. My thought was, well, it might be just fun for me and nobody else, but I’ve gotten good feedback so far, so yay. Al is reading Sweet Melissa (he is not a fiction reader and this is the first book of mine (#7 with #8 release any day now, so it’s kind of a big deal to me). He really likes it. Hey, a positive review from my husband! Haha. That’s like saying “My Mom really loved it.” Or more to the point “My Aunt Louise thinks it’s great.” My Aunt Louise thinks everything I do is great. Mom, not so much.